If there's a special woman in your life who loves her wine, then we've got the perfect gift for her. 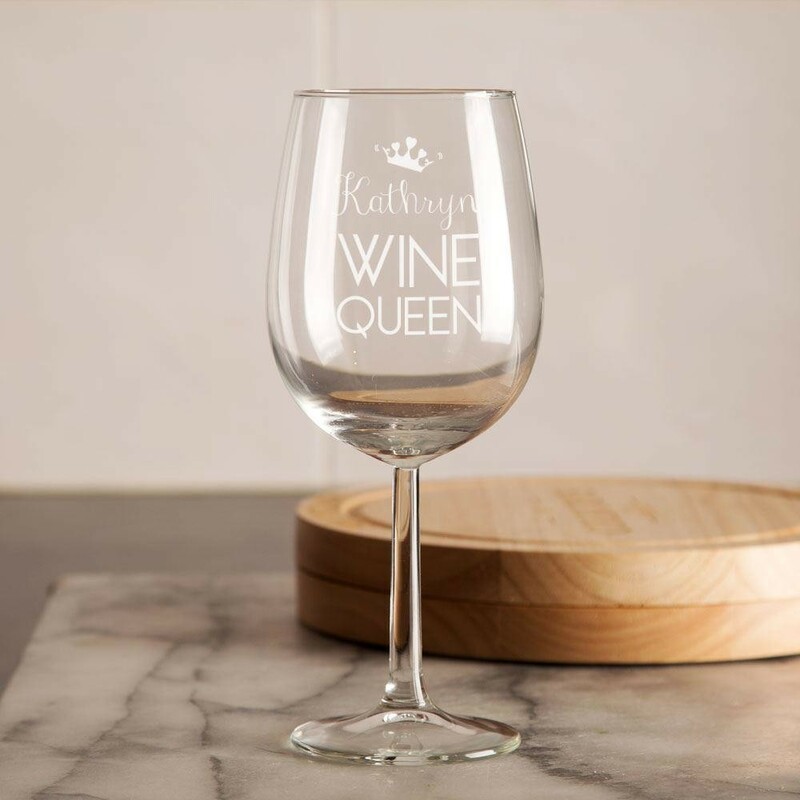 Our wine queen glass features a laser engraved design, which is personalised with the recipient's first name. 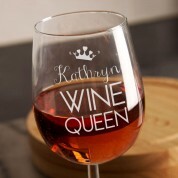 Sitting above her name is a girly crown, and below there is the text “wine queen”. 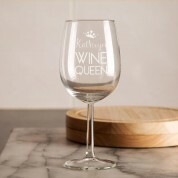 This wine glass is great for knowing that it's her drink, and she'll love being treated like a queen as it gets refilled for her! 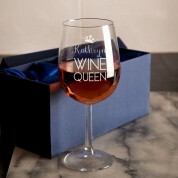 A silk lined presentation box is included with the wine glass. Dimensions: Approx. 22cm tall, holds approx. 460ml.